* Submit by email or mail images or your shop, staff, favorite displays or office pets. * Send us information you want posted: IE: phone number, physical address, directions if hard to find, hours, etc. 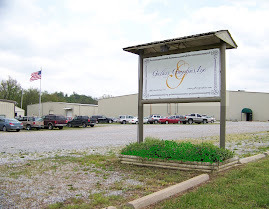 * Do you have a special event, open house or mega sale you want everyone to know about, list it!! Funny antidote, historical tidbits, anything that makes you unique. This will make you searchable & it is FREE*. Please note: We reserve the right to edit, omit or correct as Gallery deems necessary. *This offer is for current Gallery customers that have placed an order in the last 12 months. Taken from a back issue of Tattoo Magazine; Skin & Ink. By: Palmer Utterback "In biblical times, horses, were a symbol of wealth, status and, in warfare, power. A joint German-Egyptian archeological team has reported a discovery of horse stables, which housed over 400 horses, on the edge of the Nile Delta. The stables have been linked to pharaoh Ramses II who ruled more than 3,000 years ago. Such stables presumably boarded war horses similar to those used to draw the pharaoh's chariots in pursuit of the Israelites into the Red Sea. While the galloping steeds of Pharaoh's Horses convey a sense of power, majesty and grace, the implied reference to Exodus 14 suggests a symbolic warning against the singular pursuit of a tragic course with regard to the consequences: "The water flowed back and covered the chariots and horsemen-the entire army of Pharaoh that had followed the Israelites into the sea. Not one of them survived (Exodus 14:28). "I obtained some more fascinating historical information from Mary Lou Walbergh. J.F. Herring, the creator of Pharaoh's Horses, actually owned the Arabian stallion which he used as his model for many of his paintings including Pharaoh's Horses. The stallion's name was Imaun, after the Imaum of Persia, who gave him along with three other purebred Arabs, to Queen Victoria. The Queen thought quite sensibly, that Imaun might prove to be too much horse for her, so she gave him to her Chief Clerk. This man immediately sold him at Tattersall's, the famed horse sales establishment which is in business to this very day. Herring bought him and kept him all of the rest of his very long life. Herring hired a trainer to train Imaun to lie down, to be "housebroken." This well respected trainer said the Imaun was the most brilliant horse with whom he had ever worked. Herring loved Imaun so much, that it is quite possible to pick out the horse he painted using him as a model, because of the love and care taken with every stroke of the brush. Imaun is all three heads in The Pharaoh's Horses, as well as in many other Herring paintings." We found several postings on this image. Sorry to those I didn't use. 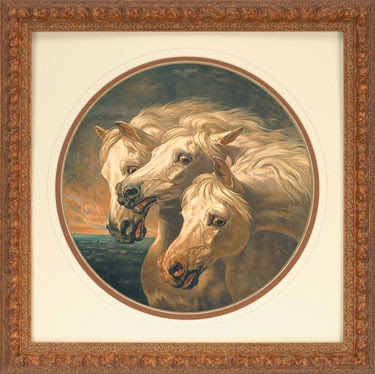 Featured: Pharaoh's Horses by J. F. Herring 3350-3860. From the Licensing Department: Watch for us in "Don McKay"
A movie trivia tidbit is that one of our framed prints will be featured in the new movie, Don McKay. Thomas Haden Church is set to star in Animus Films’ indie drama Don McKay with Elisabeth Shue, Melissa Leo, M. Emmet Walsh and Keith David. Jake Goldberger is directing from his own script. 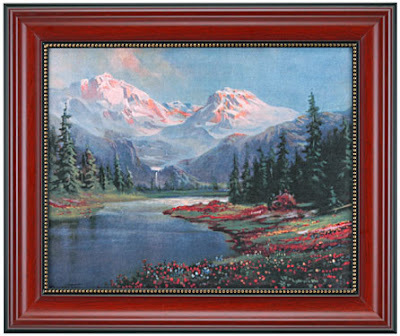 The piece that will be featured is Nature's Sublime Grandeur by R. Atkinson Fox.